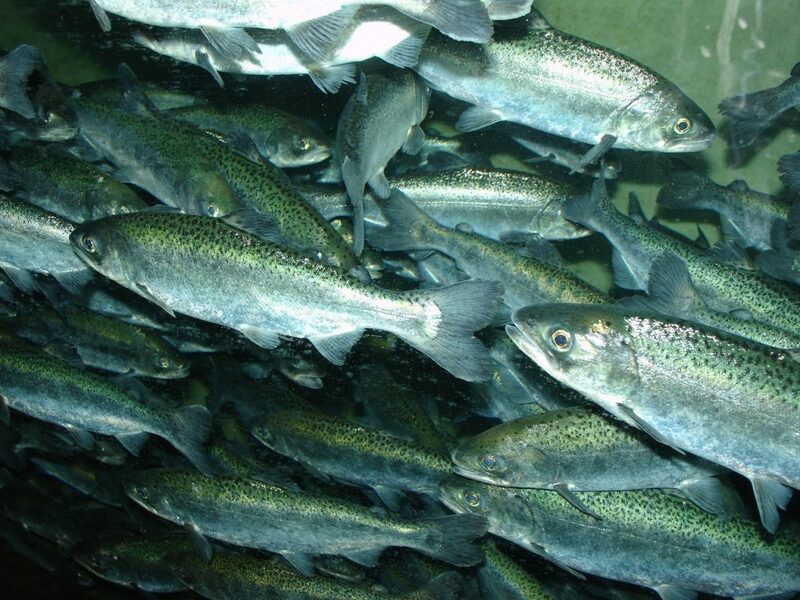 Juvenile chinook salmon depend on high-quality habitat for their survival. It was a call to action that would lead to major protection and restoration efforts throughout Puget Sound. 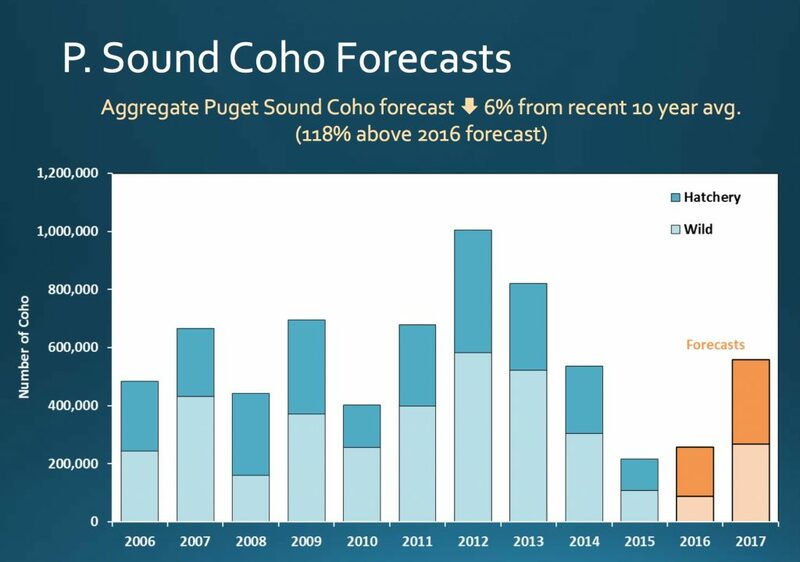 Still, today, chinook salmon have not experienced a population rebound, as many people had hoped. The failure to thrive has been a disappointment to many, yet we are often reminded that it took 150 years to push salmon to the brink of extinction and it will not be easy to ensure their future. Last week, concerns about the survival of chinook salmon prompted a coalition of Puget Sound tribes to propose a series of “bold actions,” as I reported in the Encyclopedia of Puget Sound, later reprinted in the Kitsap Sun. The bold actions, spelled out in a three-page proposal (PDF 380 kb), include greater controls on the use of land and water, among other things. I won’t describe the details, which you can read in the memo. The ideas were prompted by a new Chinook Salmon Implementation Strategy, designed to accelerate an increase in the Puget Sound chinook population. The tribes complained that the proposed strategy, as drafted, mostly mimicked the 10-year-old Puget Sound Salmon Recovery Plan. That plan has made limited progress in restoring wild salmon runs, despite millions of dollars spent to protect and restore habitat while limiting fishing and controlling hatchery production. 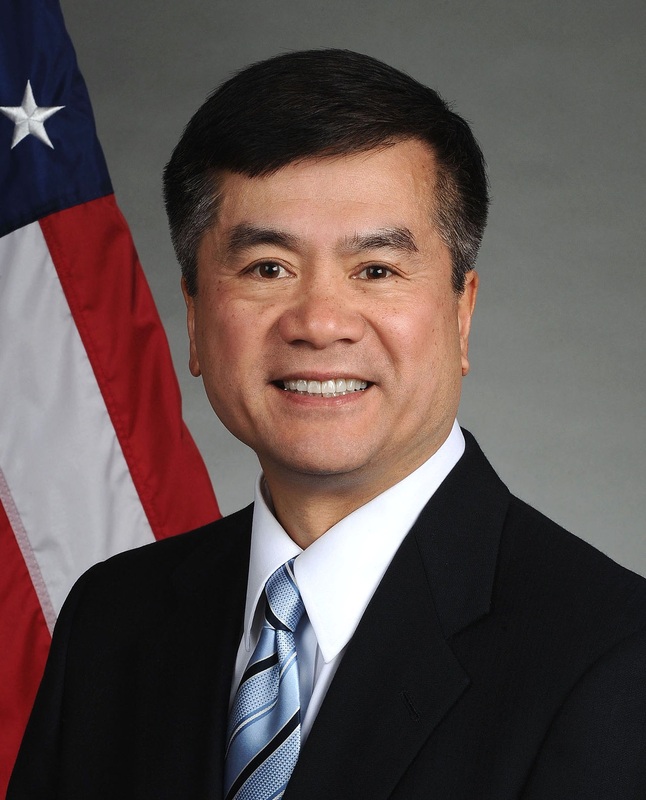 In his speech of June 1998, Gov. Locke worried about the risk of extinction for these migratory fish, which are an economic asset as well as a celebrated symbol of the Northwest. “Locke appears to be glancing over his shoulder, ready to duck for cover, as he talks about the financial and political commitments required to keep salmon from disappearing in various parts of the state,” I wrote. “We need to wake up every morning ready to challenge the status quo,” Locke said, adding that basic changes are needed in the way businesses and average citizens use their land and water resources. 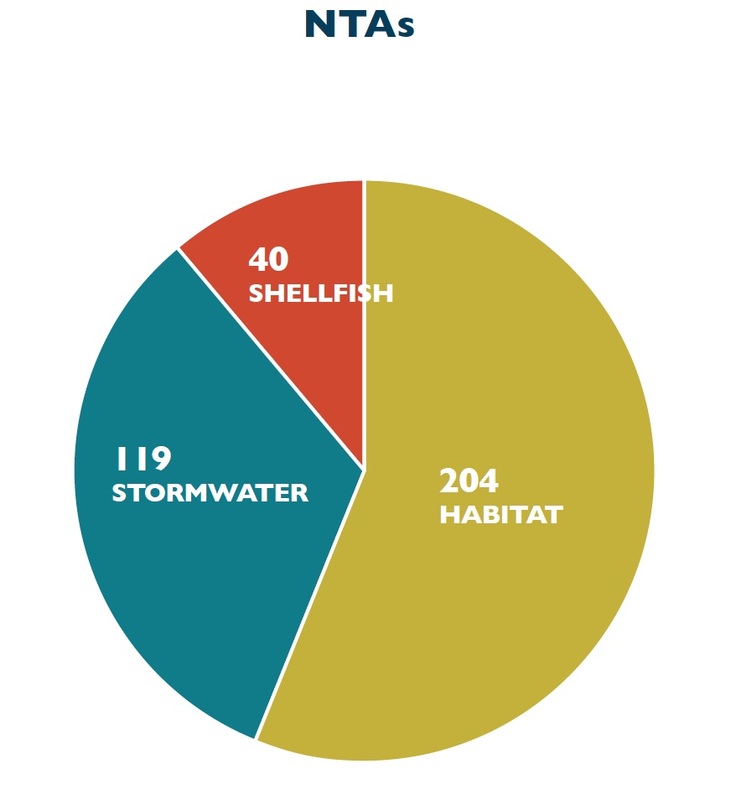 The following year, the Washington Legislature created the Salmon Recovery Funding Board to prioritize state and federal funding for salmon recovery. And the next governor, Chris Gregoire, ushered in an even greater ecosystem-recovery effort under guidance of the Puget Sound Partnership. Wetlands are critical habitat for salmon. 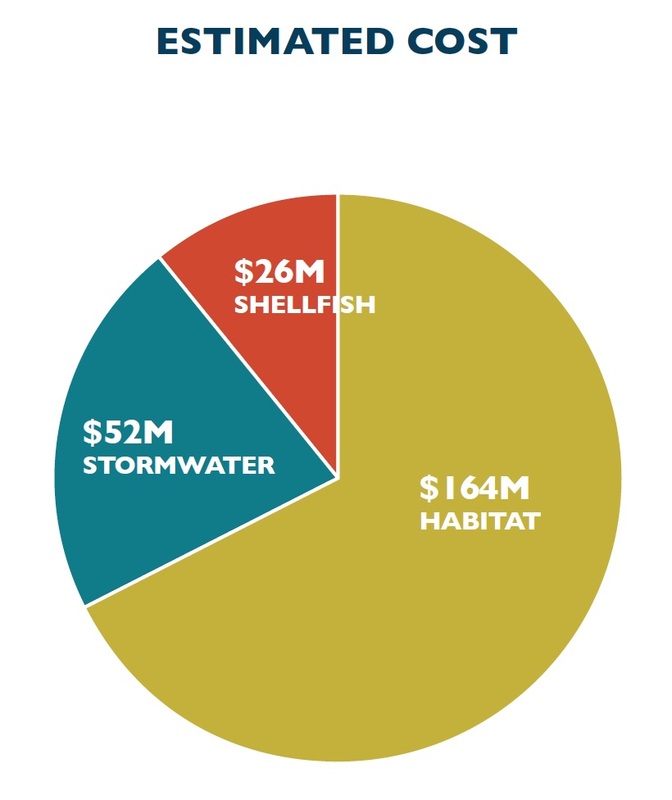 Today, I can’t help but wonder what would have happened without these salmon- and ecosystem-recovery efforts. Would the salmon be gone, as Locke predicted? It’s hard to say, but researchers have learned a great deal about what salmon need to survive, and the money is being better targeted toward those needs. As a result, it is understandable why some people are both disappointed with the past and hopeful for the future. 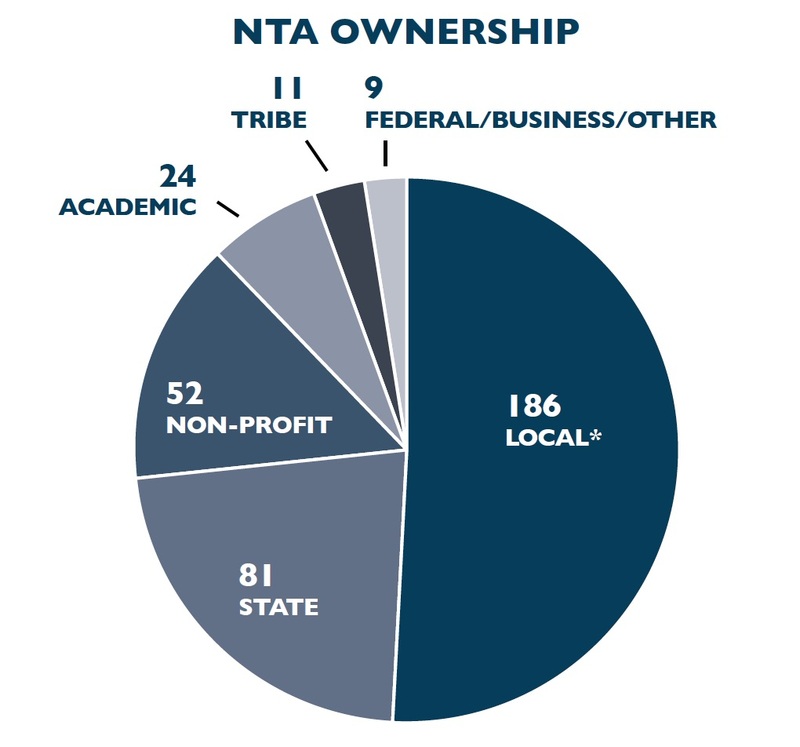 One of the great challenges facing public officials today is to find ways for local governments to truly live up to the standard of “no net loss” of ecological function — a standard required by the state’s Growth Management Act. When new developments affect “critical areas” — such as fish and wildlife habitat — they must include vegetated buffers and stormwater controls to minimize the damage. Then they must enhance degraded habitat — either on-site or off-site — to make up for losses that cannot be avoided. I used to believe that this goal was unachievable, and I have questioned many state experts about it. How can any developer construct a commercial or residential development and walk away with no net loss of habitat function? The answer is to include a serious restoration component. One example is the Hood Canal Coordinating Council’s In-Lieu Fee Program, which I wrote about last month in Water Ways (May 19). This program was started on a large scale to mitigate for construction at the Navy’s submarine base at Bangor, but it also works on a small scale, as I mentioned in that blog post. When an older site is redeveloped, there may be no ecological loss, since the damage was done in the past. But when a developer builds in a new location, the local government is charged with measuring the loss, coming to terms for mitigation and making sure the mitigation is carried out. The concept of “no net loss” works only if the mitigation is permanent — another major challenge in many areas. If no net loss can be achieved while major restoration efforts continue, we will see a net increase in salmon habitat in the Puget Sound region, and that will be a cause of celebration. 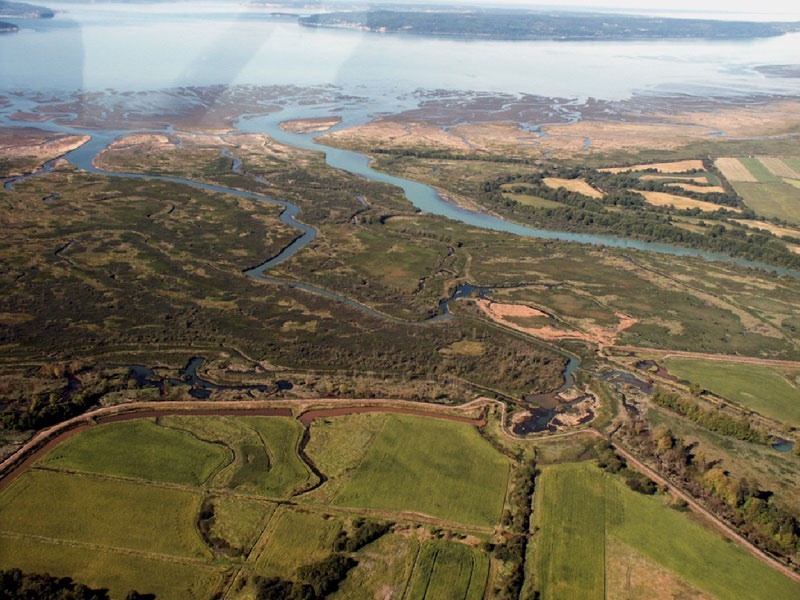 One success has been in the program Floodplains by Design, which improves critical off-channel habitat for salmon while reducing flooding problems for nearby residents. Checkout the story I wrote for the Encyclopedia of Puget Sound and the blog post in Water Ways, April 15. Washington State Department of Commerce, which oversees the Growth Management Act, is in the process of updating its Critical Areas Assistance Handbook (PDF 6 mb), which serves as guidance for local regulations. 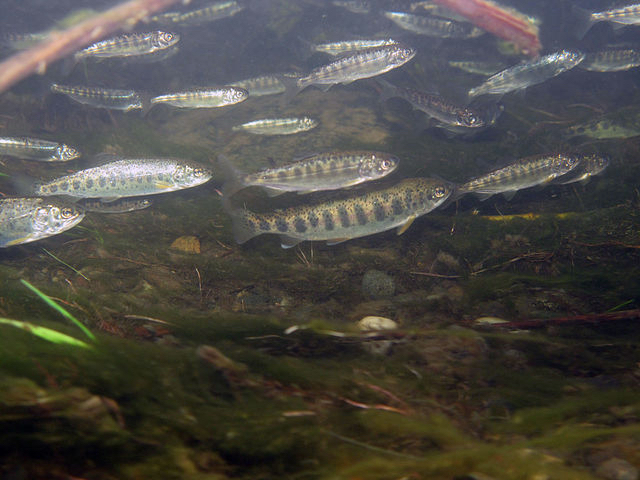 New information about how to protect habitat for all life stages of salmon will be a key addition to a revised version, soon to be released for public review. See the CAO page on the Department of Commerce website. Local governments in every part of the state must become part of the discussion if we expect them to carry out the mandate of protecting habitat for salmon. Money for planning and regulatory enforcement must be worked out. One idea I’ve heard is a regional approach that involves a group of compliance officials working to enforce the rules for multiple counties and cities. No doubt the salmon-recovery effort must be improved. Challenges remain for issues including fishing, predation by marine mammals and climate change. But if the protection and restoration of salmon habitat can outpace unmitigated damage from development, we may be justified in believing that extinction is not an option.